ANDREW JACKSON AND THOMAS JEFFERSEN WERE RESPONCIBLE FOR OVE A MILLION DEATHS OF NATIVES. It’s part of the Black Hills for goodness sake. Let the Lakota call it whatever they want. restore the name.the indian has rights and we need to honor them. I climbed Harney Peak to honor visionary Black Elk. I do not object to a change of name, if necessary, but “Hinhan Kaga” sounds bad and offensive to my European ears. “Hinhan” sounds like a donkey braying, while “Kaga” reminds me of my father’s Catalan worst expletive “Kagade!” (“Sh..ty” ) – the name, to my ears, is too close to “sh..ty braying of a donley.”, not appropriate at all … I suggest, if need be, a referendum. I also suggest the Lakota people come up with another more decent name. I climbed Harney Peak to honor visionary Black Elk. I do not object to a change of name, if necessary, but “Hinhan Kaga” sounds bad and offensive to my European ears. “Hinhan” sounds like a donkey braying, while “Kaga” reminds me of my father’s Catalan worst expletive “Kagade!” (“Sh..ty” ) – the name, to my ears, is too close to “sh..ty braying of a donkey”, not appropriate at all … I suggest, if need be, a referendum. I also suggest the Lakota people come up with another more decent name. Following is the response I got back from my email. I’m confused by their saying “the Board has not received a proposal to change the peak’s name to Hinhan Kaga”. Can someone explain this further please? This acknowledges your support for the proposal that the U.S. Board on Geographic Names has received, to change the name of Harney Peak to Black Elk Peak. Our apologies for not responding before now. We have noted your comments and concerns in the case file. The Board has not received a proposal to change the peak’s name to Hinhan Kaga, and so the only application under consideration by the Board at this time is the one for Black Elk Peak. 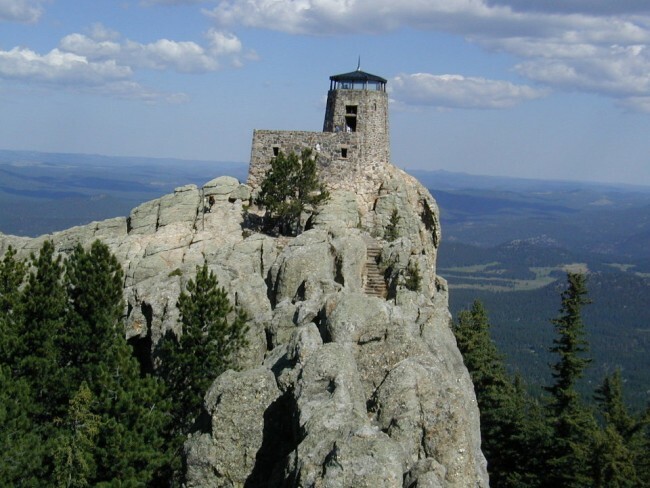 The recommendation of the South Dakota Board on Geographic Names, to retain the name Harney Peak, has been received by the U.S. Board and we are in the process of reviewing the large volume of documentation related to the case. The Board meets monthly and so as soon as we have completed our review and all input has been analyzed, we will present the proposal to the Board members for discussion and a decision. We would expect this will take a few more months. Thank you for your interest in this matter. Please let us know if you have any questions. It seems that they want a word with pizzazz (in their way of thinking) that may help with tourism etc. It sounds as if they have made up their (closed) minds already.